Dreamforce 2017 in San Francisco last week (November 6-9) was outstanding! Every year, I am amazed by the top-notch speakers, break-out sessions, and industry announcements from Salesforce. It’s literally four days of non-stop meetings, learning, and many cups of coffee. Pete’s coffee and the Starbucks across the street from the Moscone Center practically become meeting spaces throughout the duration of the conference. The ListEngage sales team and I enjoyed hearing from industry leaders, former First Lady Michelle Obama, Hollywood stars who are using technology for global good, and hundreds of presenters. We were able to meet with scores of customers, prospects, and our Salesforce contacts to discuss how ListEngage can continue to help companies with their digital transformation in the Salesforce ecosystem. If you couldn’t make it to Dreamforce this, year, I encourage you to sign up for next year. Experience what it’s like to join 170,000 people who are there to learn and connect with like-minded businesses and tech professionals. You won’t regret it! Here are a few highlights I thought were especially important. The new strategic partnership between Salesforce and Google was one of the big announcements at Dreamforce this year. Together, Salesforce and Google will be working to provide smarter, more collaborative customer experiences. Salesforce named Google Cloud as a preferred public cloud provider and plans to use Google Cloud Platform for its core services as part of an international infrastructure expansion. Google will continue to use Salesforce as its preferred CRM provider. The two companies will also deeply integrate Salesforce with Google Analytics and connect it with G Suite. Some of the integrations: Salesforce Lightning + Gmail, Lightning + Google Sheets, Quip Live Apps for Google Drive and Google Calendar, and an interface for Google Hangouts Meet. The combined power of Google Analytics 360, Salesforce Sales Cloud, and Marketing Cloud will drive smarter customer engagement as well as provide marketers with a holistic view of the consumer from awareness through to conversion and retention. Read more from Google here. Both Salesforce and ListEngage embrace equality. In fact, there’s a push throughout the tech world to attract more women to tech jobs. there are far fewer women in technology than there are men. Out of an average of 47% of working women, only about 15% -18% are in technology. For the past five years, Salesforce has been increasing the number of women and minority presenters at Dreamforce. The Salesforce commitment to supporting that growth was evident at Dreamforce this year as more women presented about various topics then at any prior Dreamforce event. At ListEngage, we support our clients by tapping into the diversity of our own team. Close to 35% of the ListEngage full-time staff is comprised of women. We believe that supporting diversity gives us an edge in working with our diverse customers across the globe. In the world of apps, one size does not fit all. That’s why we have multi-cloud strategies that have to work across disparate channels and platforms. A 2016 IDC InfoBrief (sponsored by Cisco) revealed that almost 68% of organizations now use some form of cloud – up from 42% in 2015.The study also found that most cloud adopters use a hybrid cloud strategy. Salesforce is literally connecting the clouds. With the Salesforce platform, your company can realize unsurpassed cloud solutions and connectivity for sales, marketing, services, analytics, commerce, mobile, social, employee and customer communities, and more. It gets even smarter with Einstein – Salesforce’s AI platform. If we are in agreement that you can’t get any better than the Salesforce connected clouds, then the next important decision (no matter how big or small your company) is having a good partner by your side to help you with your digital initiatives and transformation needs. Here are a few things I’ve learned over 20+ years in tech. Choose a services partner who exclusively supports the Salesforce platforms and products and isn’t distracted or spread thin by also trying to sell or service competitor products. Make sure your partner is certified on multiple clouds and products. Look for a partner with years of experience and across multiple products. And, a good partner should have proven experience, numerous implementations under their belt, and many happy customers. When you work with ListEngage, you get “all of the above.” We are an award-winning Salesforce Partner who has been dedicated to the Salesforce platform and software since 2003. The ListEngage team has multiple cross-cloud, cross-platform certifications. We have successfully completed more than 900 projects and implementations and have hundreds of happy customers. We’re ready to put our expertise to work for you! Make ListEngage your year-round “dream force.” Contact us today and let’s discuss the next steps needed for your company to succeed in its digital transformation journey. 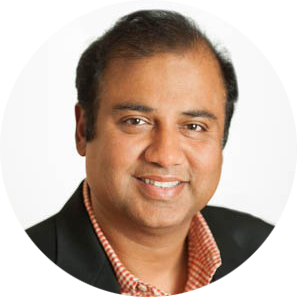 Altaf Shaikh is ListEngage’s Founder and CEO. Altaf has been in software development and digital marketing for more than 25 years. He started ListEngage in 2003 to help businesses transform their email and digital marketing. ListEngage has supported the Salesforce Marketing Cloud since 2003 when it was ExactTarget. As a dedicated Salesforce Partner, ListEngage has served 900+ customers and earned multiple awards, such as: 2013 ExactTarget Global Services Award, the Inc. 5000 three consecutive years, and the Boston Business Journal's FAST 50 two years in a row. Contact Altaf at services@listengage.com.